In the afternoon of January 24, the Greek government via the ministry of transport ordered the civil conscription (i.e. the forced return to work) of the workers at the Athens Metro, who had been on strike for the past eight days. In response, the workers in all other mass transportation mediums in the city (buses, metro green line and tram) have also joined or extended their strikes. 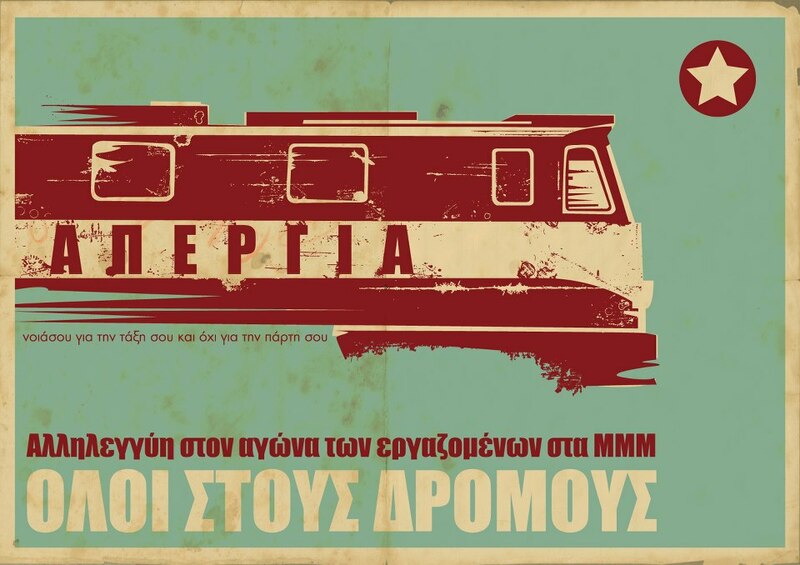 Today at approximately 03.40 am, riot police (MAT) and police’s special anti-terrorist task force (EKAM) stormed the central metro depot in Sepolia, W. Athens, in their attempt to break the transport strike. At least 100 workers were inside the depot at the time of the operation and at least three were detained.